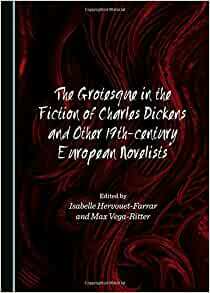 This book provides an overview of the literary grotesque in 19th-century Europe, with special emphasis on Charles Dickens, whose use of this complex aesthetic category is thus addressed in relation with other 19th-century European writers. The crossing of geographical boundaries allows an in-depth study of the different modes of the grotesque found in 19th-century fiction. It provides an in-depth analysis of the reasons behind the extensive use of such a favoured mode of expression. Intertextuality and comparative or cultural analysis are thus used here to shed new light on Dickens's influences (both given and received), as well as to compare and contrast his use of the grotesque with that of key 19th-century writers like Hugo, Gogol, Thackeray, Hardy and a few others. The essays of this volume examine the various forms taken by the grotesque in 19th-century European fiction, such as, for example, the fusion of the familiar and the uncanny, or of the terrifying and the comic; as well as the figures and narrative techniques best suited for the expression of a novelist's grotesque vision of the world. These essays contribute to an assessment of the links between the grotesque, the gothic and the fantastic, and, more generally, the genres and aesthetic categories which the 19th-century grotesque fed on, like caricature, the macabre and tragicomedy. They also examine the novelists' grotesque as contributing to the questioning of society in Victorian Britain and 19th-century Europe, echoing its raging conflicts and the shocks of scientific progress. This study naturally adopts as its theoretical basis the works of key theorists and critics of the grotesque: namely, Victor Hugo, Charles Baudelaire and John Ruskin in the 19th century, and Mikhail Bakhtin, Wolfgang Kayser, Geoffrey Harpham and Elisheva Rosen in the 20th century.